I was so encouraged to see all the people at the Planned Parenthood rally this past weekend. It was so good to know that I was not alone in being moved to justice for the unborn, tortured, and abandoned. 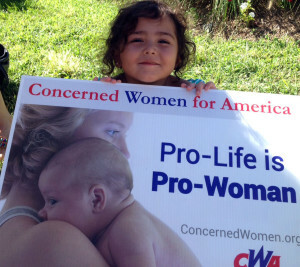 The Center for Medical Progress has been a blessing to this country in opening the eyes of the American people to the fact that something akin to a holocaust of abortion was happening right in their neighborhoods and that they are the ones paying for it. Whatever you were prior to these videos — pro-abortion or pro-life — we all have undeniable proof that life has not been given the dignity and respect it deserves. I had other plans the day of the rally, but I discarded them. I knew I had to do something to stand for justice, plead for mercy, and encourage the faithful. For all who have seen the released videos, I think we all can say that there was one that hit you more than the others. I gathered myself and gave myself to God to be ever diligent to justice. He is a God of justice. He is a Father to the fatherless. He will bring eternal justice in His time of recompense, but I want to be His agent of what is good, what is right, and what is just — right here on Earth as it is in Heaven. I’m so glad I went to the rally and stood for justice, unashamed and unafraid. It refreshed my soul to see how many people were standing with us for life. We are not alone, and the light of justice is breaking through. I went from discouragement and grief to encouragement and faith.